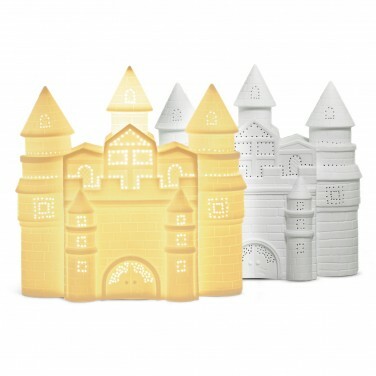 Kids will adore this stunning ceramic castle lamp that looks just as though it's come straight from their favourite fairytale, filling their room with a warm white glow. The detail on the castle is picked out in delicate pinholes that allow the light to shine through making a stunning feature that will comfort and reassure at night. 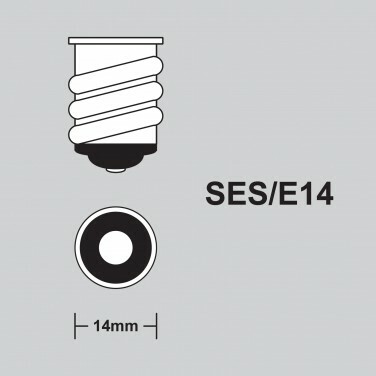 Mains operated and lit by an E14 bulb (not included), this stylish lamp is the ultimate way to finish off your little princess's room.